It was the beginning of autumn when we had our first global ec summit. After the week-long workshops were over, we played host to our overseas guests and bring those who had some hours to kill before their flight. It was a rainy Saturday morning, and all I wanted to do was to snuggle in bed but had to push myself to get up to check out of the hotel. 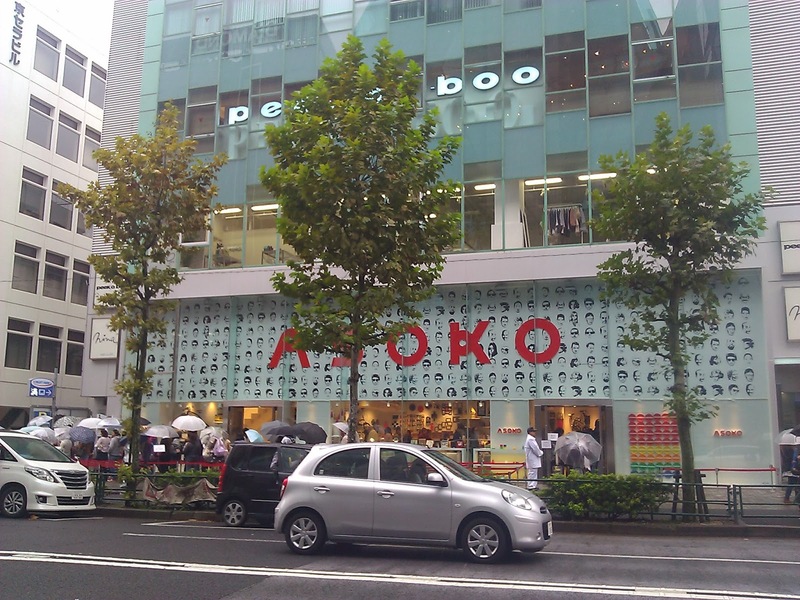 First up was the retail tour in the shopping streets of Omotesando and Harajuku. Our competitor seemed to be enjoying brisk sales with a queue outside even in the drizzle. 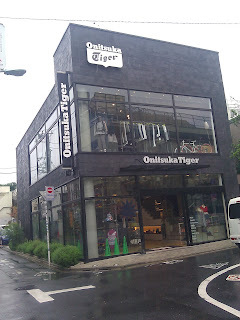 The Onitsuka Tiger flagship store in Harajuku, tucked in a little alley behind Ralph Lauren. To be honest I never knew how big this brand was back home, but slowly appreciated the legendary shoes after joining the company. 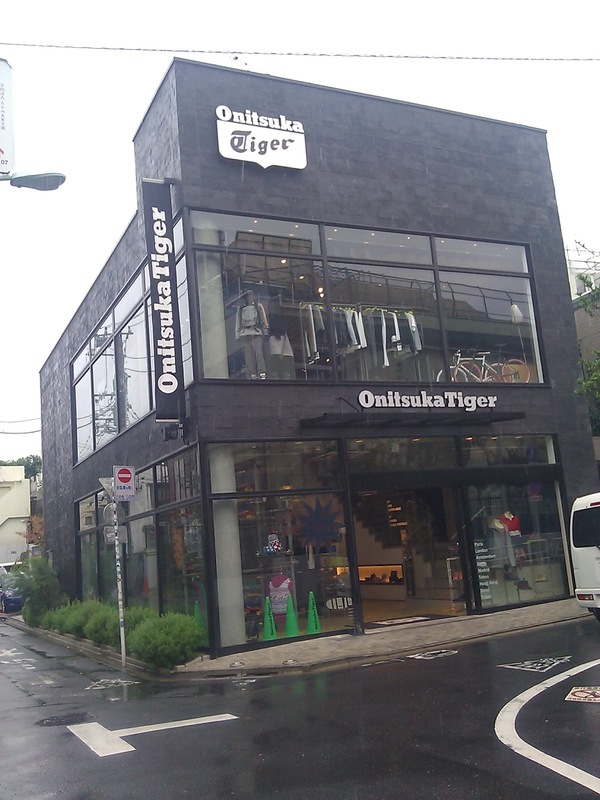 Seems like a new store just opened. 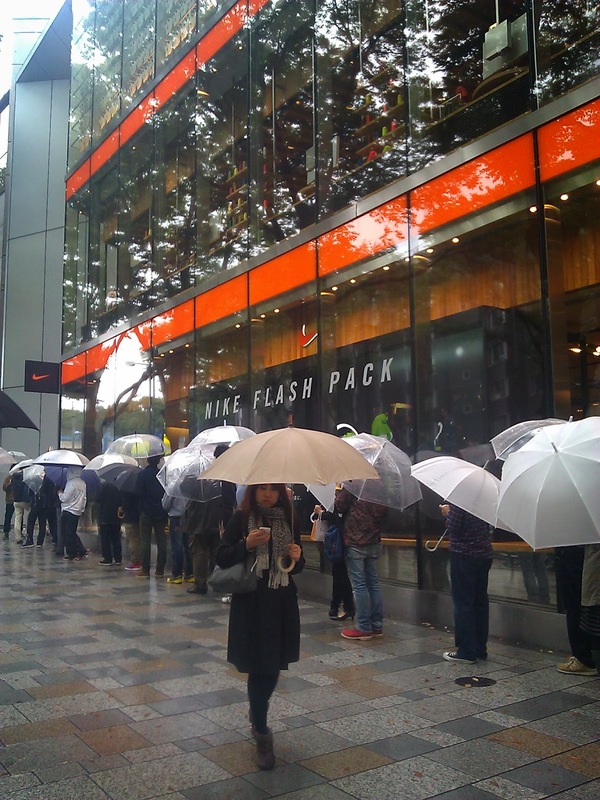 You can tell by the long queues outside the store. 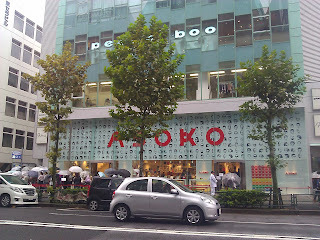 Even in the rain. I remember when living in Tokyo, and Krispy Kreme had first opened a store in Shinjuku the Japanese would queue up in the winter cold just to get a taste of the sweet doughnuts. Same when H&M opened its doors - I couldn't be bothered and am always amazed at their patience! 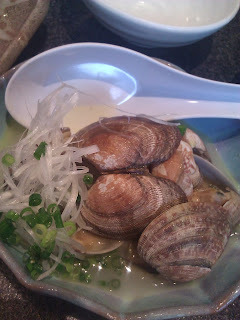 After the long walk around the Shibuya shopping streets, we decided to get some Japanese for lunch. 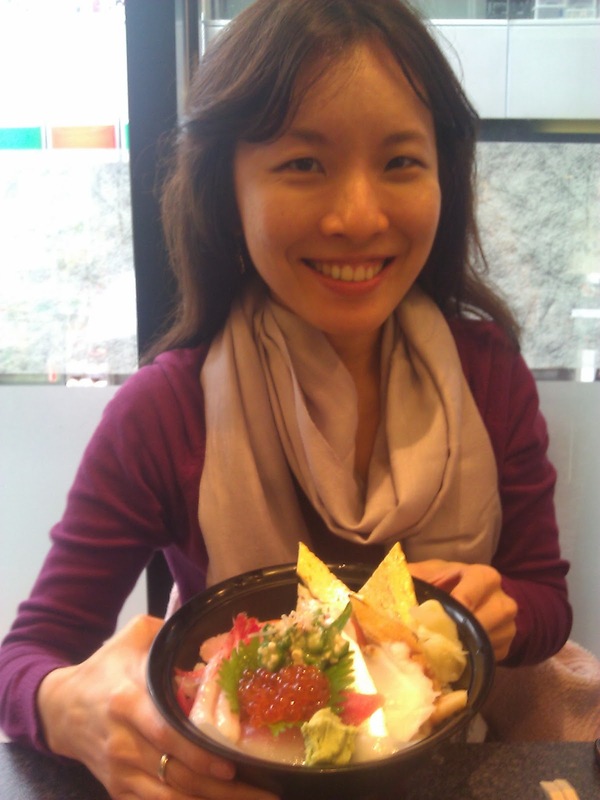 I've bragged about how fresh seafood are here, but when my Tokyo friend visited me in Kobe he commented that Kobe sashimi seemed even fresher! 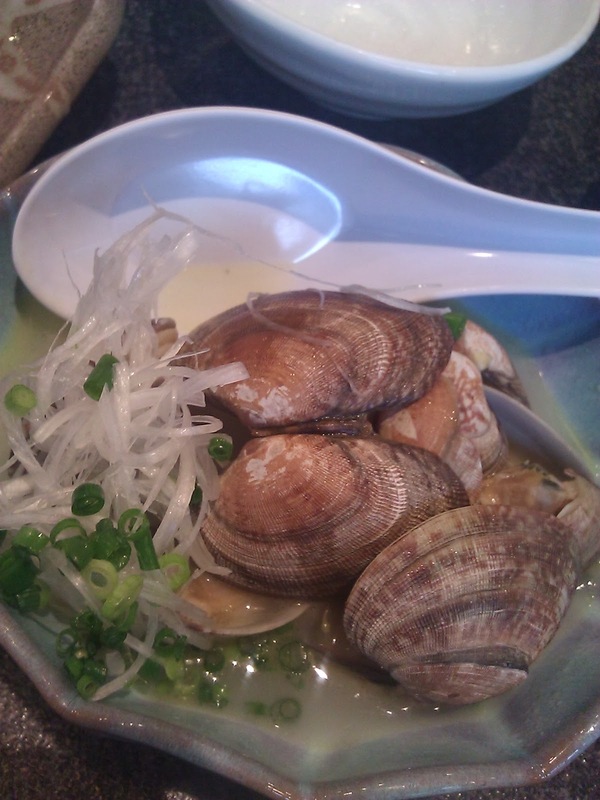 Tamai-san ordered some sides to go with our chirashi sushi (sushi rice topped with sashimi slices), this "siham" lightly sauteed with Japanese sake and butter. After saying goodbye to our regional guests, I explored the latest shopping mall in Shibuya while waiting for Aishah. 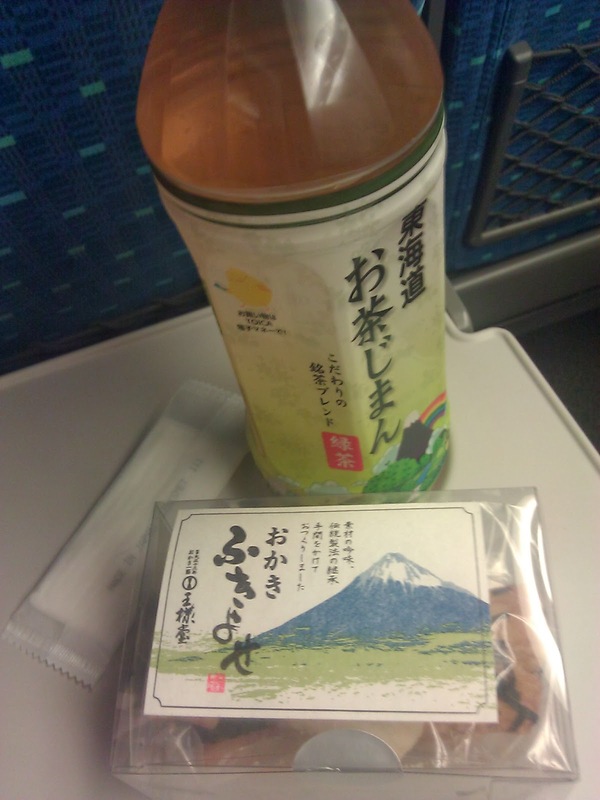 Felt like a country bumpkin in the big malls and amazed again at all the pretty creations. 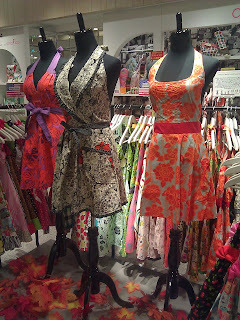 It's nice to just wander around window shopping and just enjoying what novel new stuff they've come up with this time. 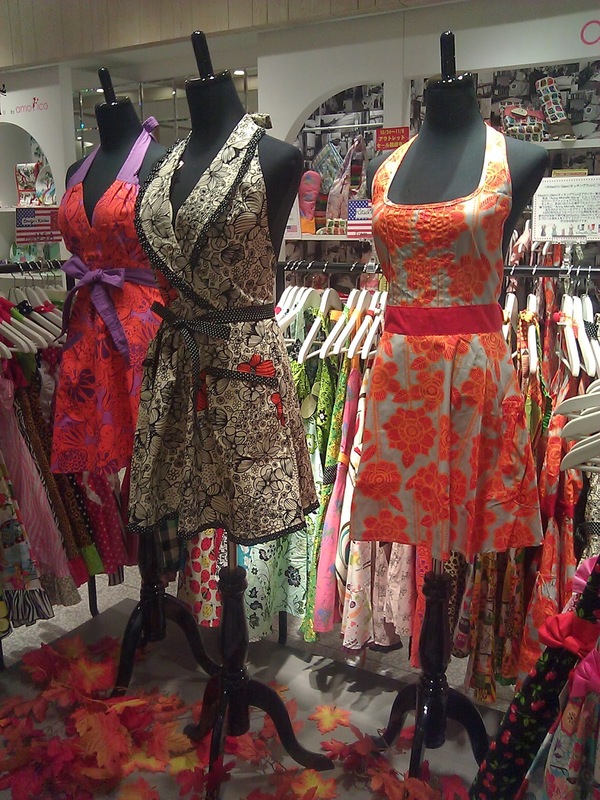 What creativity - these are aprons - pretty enough to be worn as a dress I think! My ex-housemate Aishah was nice enough to meet me at the Tokyo station before I had to dash off to get the shinkansen. She still loves pastries and all things sweet, so she introduced me to Fairy Cupcakes. 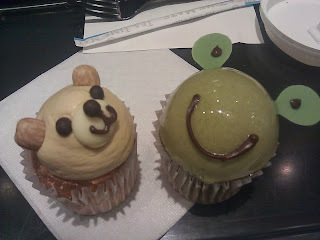 This walnut bear and macha frog were just too cute to be eaten! 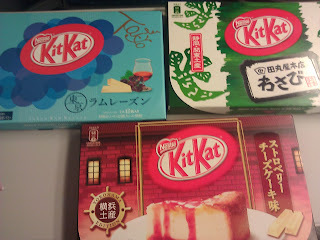 I found some new flavours at one of the souvenir shops - rum and raisin, wasabi and strawberry cheesecake. Guess which one I'm bringing home for you guys to try!